Leavens Volvo Cars London has distinguished itself over the years by offering first-rate customer service, but also by providing the answers to our customers' questions. Our expertise is always at your disposal to help you make the right choices. For example, we’re here to help you choose between financing and leasing. It is normal not to know at first sight which solution, between financing and leasing, is best suited to your needs. The reality is that each solution has its own pros and cons depending on what your needs are. 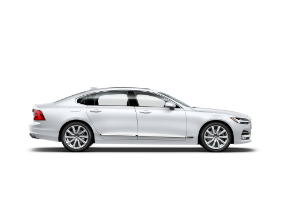 Our financial services advisors at Leavens Volvo Cars London will take the time to listen to you and understand these aspects before helping you make the best choice. When we lease a vehicle, we are paying a portion of the model in question during the period of our contract. The balance is the residual. We have the option to buy the vehicle at the end of the contract by paying this residual value, or we can return the vehicle and buy another. When we finance, we pay for the entire vehicle over a period of time. We therefore own our vehicle by the end of the contract. Each option has different considerations. Leasing a vehicle will be more affordable on a monthly basis, as well as provide tax benefits to business owners or self-employed owners. But there are also restrictions because the vehicle does not belong to us. For example, there will be an annual mileage limit. When we finance, our monthly payment is generally higher, but there are no restrictions on the mileage we can cover. At the end of our contract, we can keep our vehicle without having to make payments, or we can resell it and recover a portion of what we have paid. In short, the best option for you depends on several factors, including your budget and how long you want to keep your vehicle. Come to Leavens Volvo Cars London today to learn more.